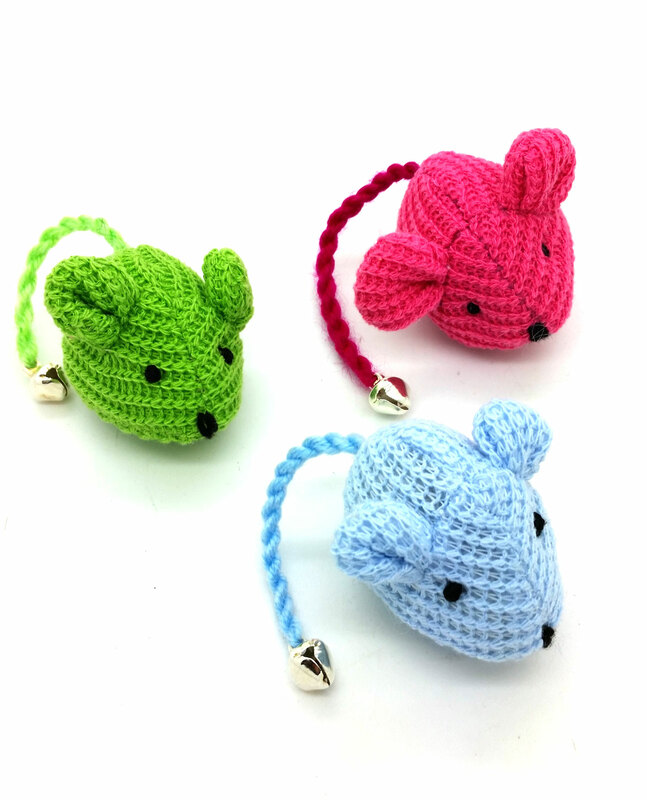 These fun and cute little Mouse Cat Toys are soft and colorful! 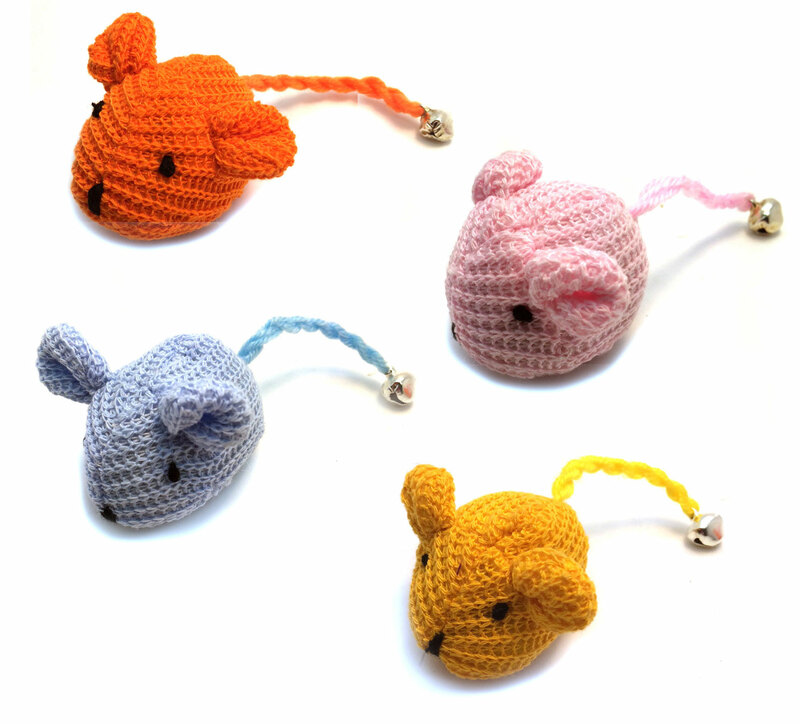 Cotton foam filled with cotton crochet materiel in the shape of a mouse. Little bell attached for some sound. Bright non-toxic colors where you can choose one or all the colors! Bell is attached to the tail to make a rattle sound. Rattle Crochet Cat Toy is very colorful, soft and fun for your cat! 5 bright colors: Blue, Orange, yellow, Pink or green!